1 YRS Hengshui Hongyu Packaging Product Co., Ltd.
11 YRS Jinan Wangda Import & Export Co., Ltd.
5. About warranty: Due to long time shipment there will be 3% damage for the glass products. 6. About Payment: For Sample air express cost, we can receive money via West Union or T/T, or you can pay it when you receive it if you have an account of DHL/FedEx/UPS. For bulk orders shipping cost, we only can receive money via T/T, also our clients can use Trade Assurance via Alibaba online to place orders and arrange payment. 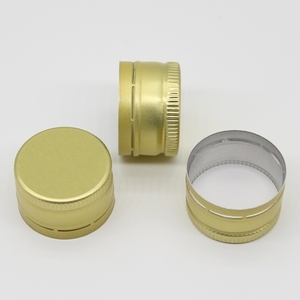 Hot sealing 33/40mm-400mm gold cosmetic cap custom aluminium screw cap, screw bottle cap for packingage. 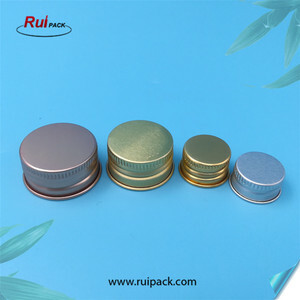 8.We are innovated and ready to provide customised aluminum tin caps . Good Service : We treat any clients as friend. 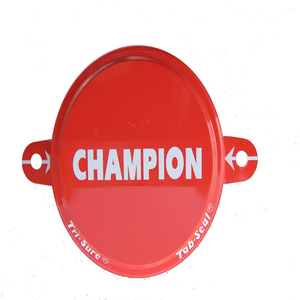 Good Quality : We have strict quality control system . There are numerous issues that can affect your bottle's physical characteristics and put your packaging at risk. We have perfected a unique process to eliminate the stress on a bottle by allowing air exchange, which improves product appearance on shelves, and reduces the risk of failed packaging. By inserting vented liners in your closures, we give bottles the ability to "breathe" and stabilize themselves when under pressure. 2 YRS Cangzhou Xingchen Glass Products Co., Ltd.
plain aluminum seals/ color alu-plastic seals/small glass vials pharmacy use for type III soda lime glass vial Diameter of the aluminum part:13mm,20mm,32mm Total height:6mm-13mm Color yellow,red,blue,green,etc 1. multiple specifications 2. standard:YBB00092005,YBB00082005 3. OEM available 4. Material is Aluminum EN8011. 5. Aluminum with coating to avoid discolor. 6. Three openings, two openings and with completely open arrow head. 7. Packing: white plastic box inside,shrink film, carton outside, plastic tray. 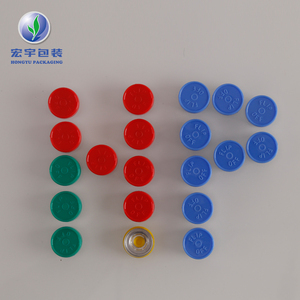 2 YRS Luoyang Yuluo Bottle Caps Co., Ltd.
3 YRS Jiangyin Aisun Import & Export Co., Ltd.
2. 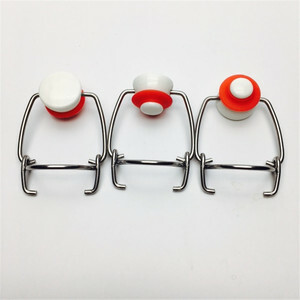 Real one stop option for you, since we know well on capper machines, bottles and caps, etc. 4. Our philosophy: Clients always correct, quality and fame is more important than just getting profit. All of our work is aim for long term win-win cooperation with client, not just sell and buy relationship. 3 YRS Shaoxing Jinte Packaging Co., Ltd.
(2)Question: Can we get your samples9 Answer: Yes! (4)Question: What is the normal lead time9 Answer: A. (5)Question: What is your payment term9 Answer: A. T/T, B. 2 YRS Guangzhou Futen Plastic & Metal Products Co., Ltd.
Guangzhou Futen Plastic Factory Guangzhou Futen Plastic Factory is a manufacturer professionally producing plastic spout caps,metal tin can,paint cans,square tinplate cans and chemical tin buckets. W: 22.9kgs/ctn Delivery time: 3-5 working days after receive payment 1.Q:Are you a factory or trading company9 A: We are manufacturer professionally producing plastic spout caps,metal tin can,paint cans,square tinplate cans and chemical tin bucket. 4.Q:How to keep high quality for your product9 A:All the end product will be inspected one by one through our full automated machine 5. Q:Why choose your company9 A:Good after-sale service,24 hours on line service , full automatic assembly machine,complete production line . 3 YRS Jiangyin Zhongming Package Co., Ltd.
3 YRS Yantai Hongning International Trade Co., Ltd.
13 YRS Zibo Panpak Co., Ltd.
4 YRS Beijing Galaxy Glassware Co., Ltd.
And we have professional sales team and technical team, providing best service to help you. If you want to print logo , the sample charge depends on the logo size&color&printed position. To notice that the sample charge would be returned after you placing the order. Alibaba.com offers 49,275 metal cap seal products. About 2% of these are lids, bottle caps, closures, 1% are seals, and 1% are aluminum foil. 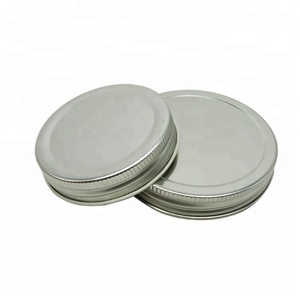 A wide variety of metal cap seal options are available to you, such as screw cap, shrink label, and easy open end. You can also choose from metal, plastic, and aluminium-plastic. As well as from pilfer-proof, non spill, and child-proof. 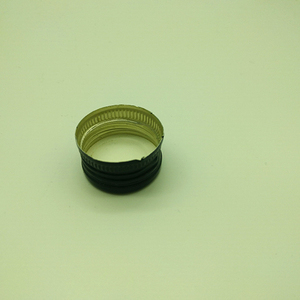 And whether metal cap seal is bottles, jars, or bottled beverage. 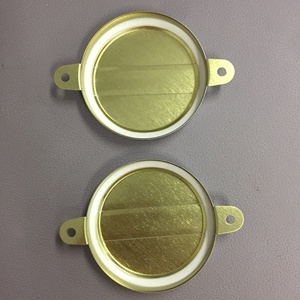 There are 49,275 metal cap seal suppliers, mainly located in Asia. The top supplying country is China (Mainland), which supply 100% of metal cap seal respectively. 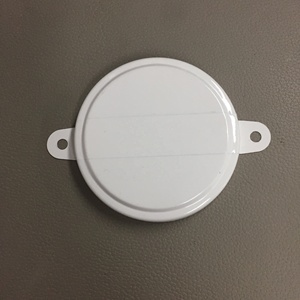 Metal cap seal products are most popular in Domestic Market, South America, and Africa. You can ensure product safety by selecting from certified suppliers, including 3,751 with ISO9001, 1,518 with Other, and 130 with ISO14001 certification.